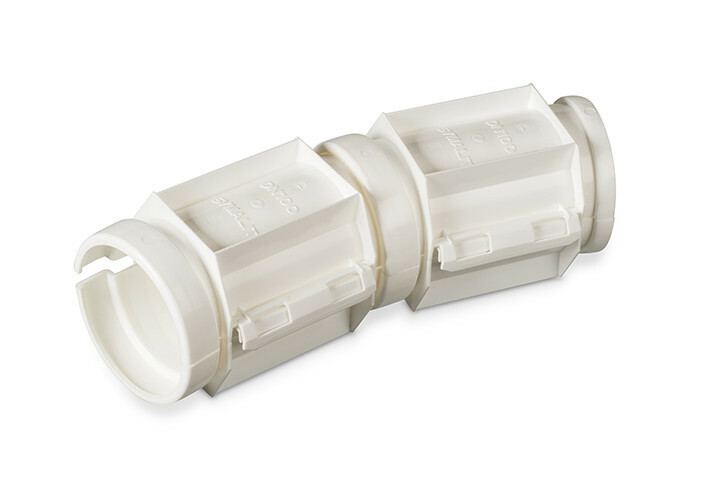 The dividable protection sleeve from Electroplast is the alternative for cable ducts. 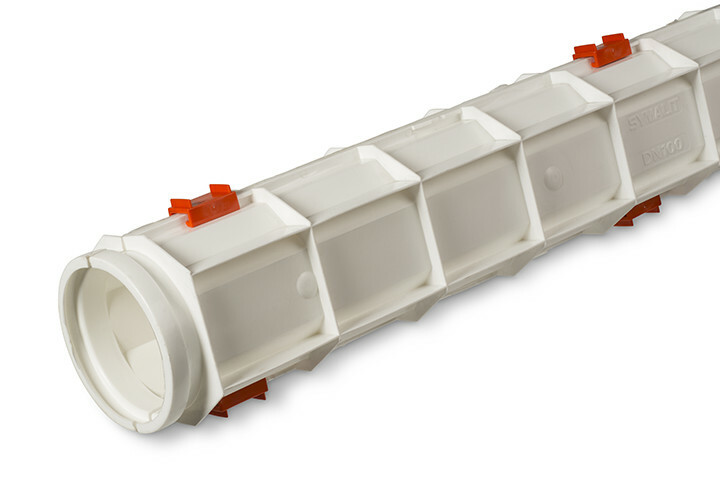 The HDPE-protection sleeve protects your cables, gas and water pipes against mechanical impact. 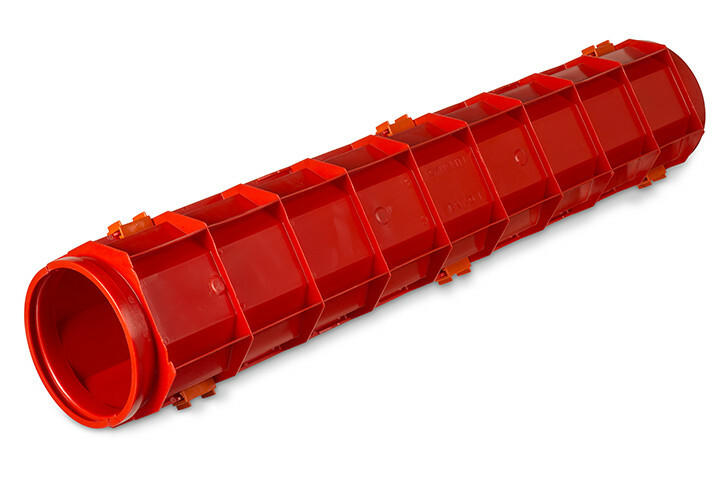 The product consists of two half-shells, closed with six sliding locks. Since the shell parts are re-closable, you can exchange cables or pipes at a later stage. The sleeve can be very easily coupled and dismantled. For making directional corrections, Electroplast supplies 15° elements. Very strong sleeve for your costly cables and pipes. 15° elements available for making bends. 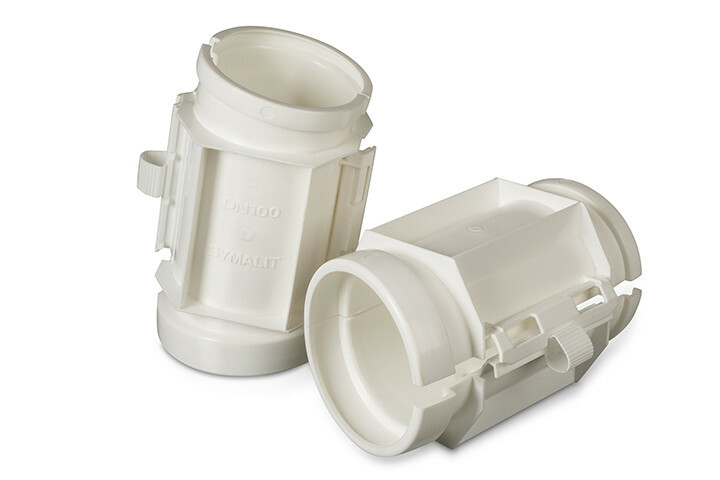 You can opt for cable protection sleeves with a diameter of 100 mm and 150 mm. The length is 1.000 mm. The standard colour is white. Would you prefer another colour? Then please contact us.